Single-zone and smart thermostats only read temperature at the point in the home where they are installed - which is why most homes have unbalanced air distribution. 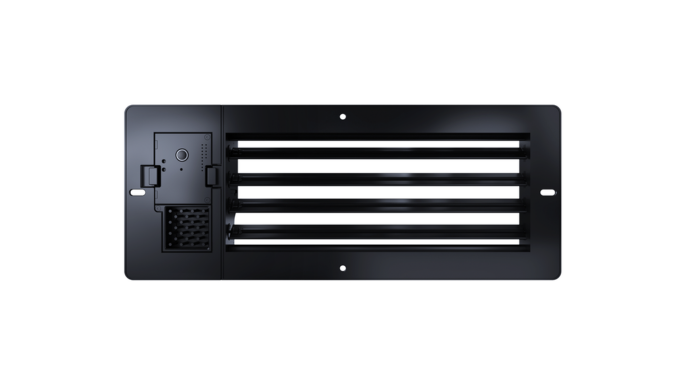 Alea has three temperature sensors in every Alea Air™ vent which are used to determine not only the ambient room temperature, but also the air temperature entering the room through the HVAC ductwork. This unique temperature data is the basis for Alea’s airflow decision software. 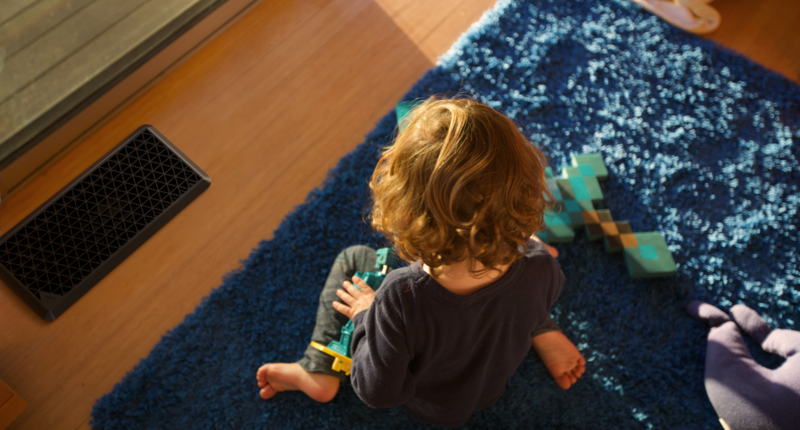 Alea starts learning the moment you install your vents. 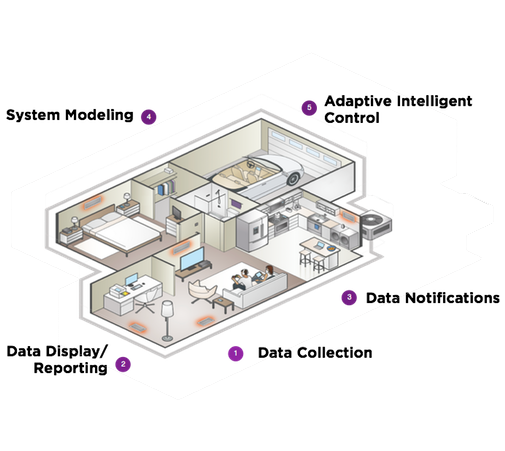 Sensor data begins to map and understand the thermal characteristics of each room in which it is placed. When you set your schedule and the desired temperature for a room, Alea combines this data with ever-changing information like outdoor weather, humidity, and room sun exposure to effectively manage the runtime of your HVAC system - always learning and adjusting to best meet your comfort needs. We’re sensing all the key home conditions. 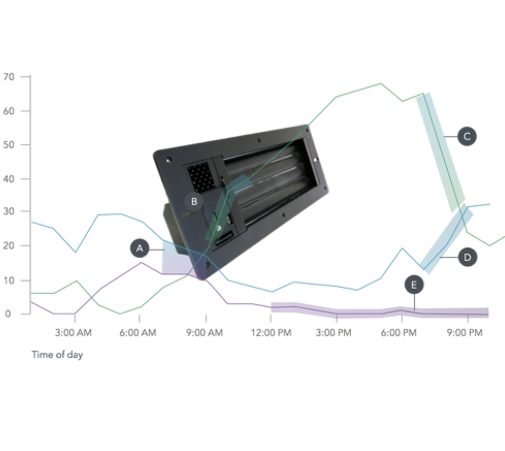 Alea leverages a host of smart sensors to determine the true condition of the room, and utilizes the data for use in making real-time decisions about louver and airflow adjustment. Measures volatile organic compounds to ensure your home air is healthy. Accurately determines room temperature where it matters, in the room, not the thermostat. Helps Alea predict if a room is occupied or getting an external source of heat. 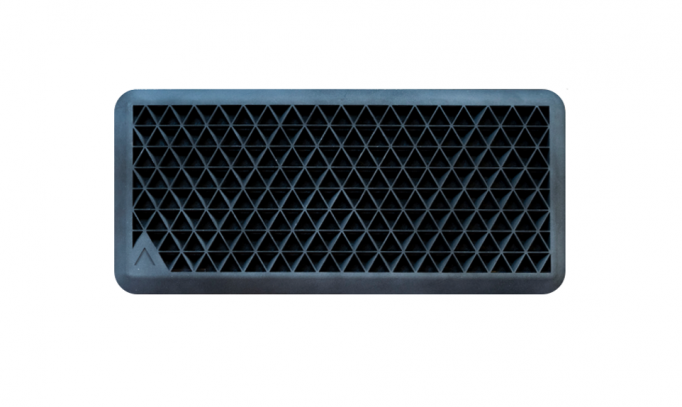 Monitors the air pressure in ducting to protect the HVAC system from damage. Adjusts louver position in case of air whistling sound. Measures moisture to assess and adjust room conditions. Alea's sensors continuously monitor key operational parameters of your HVAC system to keep track of critical variables such as static & differential pressure, room & duct air temperature, humidity, and more, to ensure that adjustments to your Alea vent system never cause excess pressure that could harm the HVAC blower or compressor. When the Alea platform recognizes HVAC system irregularities or air quality degradation, a notification is sent to your Alea Air app. 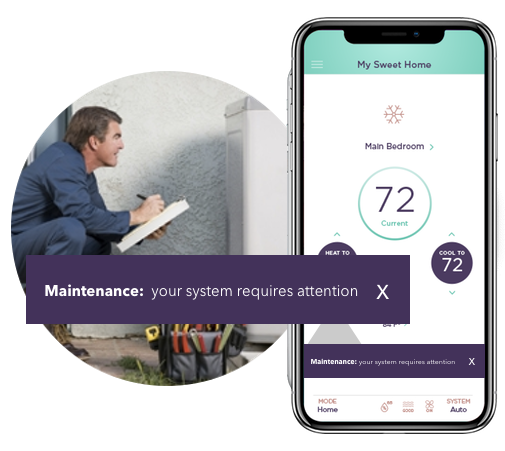 Coming Summer 2019: Your systems detailed operational data can also be shared with your local HVAC professional via a dashboard, who can then remotely monitor your system to provide preventative maintenance suggestions and system improvements for optimal HVAC performance. Batch 1 (available for preorder now): 3"x10", 4"x10", 6"x10", 4"x12", 6"x12", 4"x14"and 6"x14"
Batch 2 (some sizes under consideration for Q3 2019): 10"x8", 10"x10", 12"x8", 12"x12",14"x8"
The more rooms you add Alea to, the better your home comfort will be. At minimum, we suggest you add Alea to 3 rooms. • Central forced-air central heating and/or cooling HVAC system. • iOS 9.0+ and Android 4.4+. Mobile app is required to control setup, monitor, and control Alea. • Duct boot depth of 2 3/4"
• Works with Nest, ecobee, Honeywell smart thermostats, and more coming soon. • Each vent is powered by 4 AA batteries. • 3"x10", 4"x10", 6"x10", 4"x12", 6"x12", 4"x14"and 6"x14"